Are you spending too much time monitoring your investments daily? Would you love to quickly glance at your investments and move on with your life? Wouldn't it be great to maximize your profits and cut your losses? 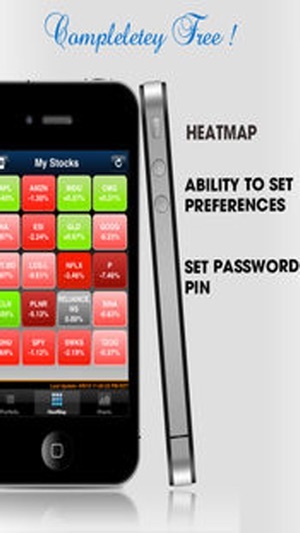 Monitoring your basket of investments(Forex, Stocks, Bonds, Mutual Funds, Treasuries) has never been easier. Now with ezStocks Pro, a busy professional like you can monitor multiple watchlists with a few touches. 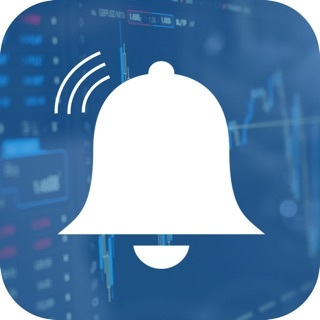 ezStocks Pro has all the tools to help you efficiently monitor your stocks performance and help you decide your market posture, whether it be long or short. Best of luck, Smart Trader. √ Intuitive user interface at your finger tips. 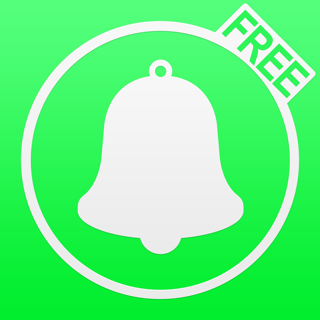 √ Create unlimited watchlists with unlimited stocks. 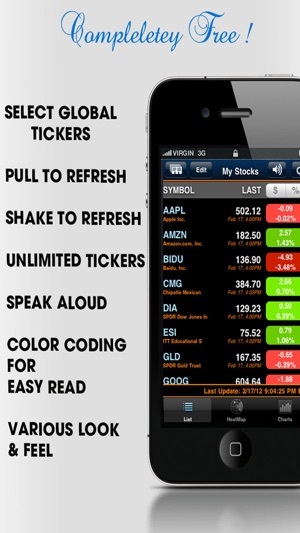 √ RealTime and after hours stock quotes when available through out the trading day. √ Watch stocks in most markets around the globe. √ Earnings Tab to display upcoming earnings announcement dates. √ View colored heatmap showing your watchlist's performance throughout the day. √ View stock charts in various time intervals to see the short term and long term trends. 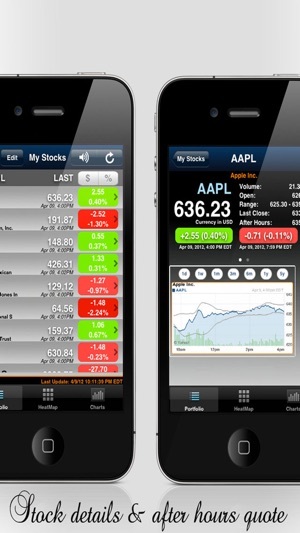 √ Apply various technical studies to the stock charts to help you make decisions quickly. 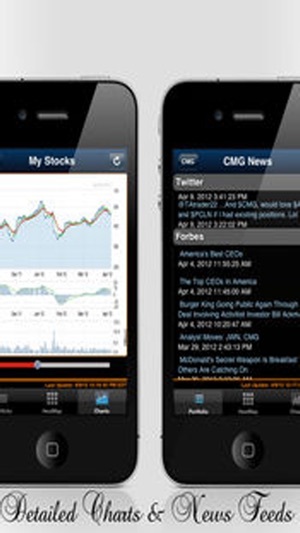 √ Google, Yahoo and MarketWatch Feeds to help you make an informed decision. 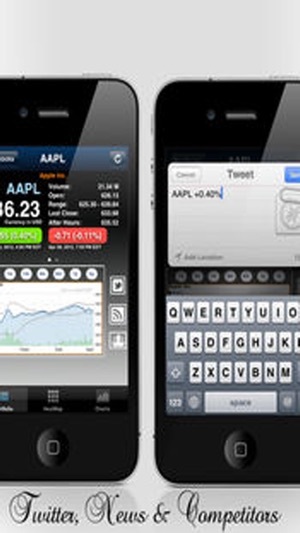 √ Read what people are twitting about your favorite stocks. √ Set your charting and sorting preferences. ** If you need access to the status bar, double tap at the top of the screen. ** You can sort watchlists by Symbol, last trade price, Percent Change and Price Change. ** Pull to refresh is available on most screens that display information within a list. 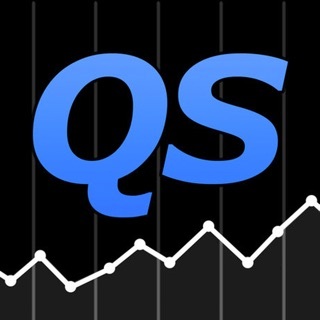 ** You can also shake your device to update quotes, charts and news. ** Don't forget to set your chart and other preferences via the settings. Disclaimer: We are not investment professionals and cannot advice you on what to buy and sell. Please consult an investment professional for your specific needs. Data is aggregated from various sources and made available to you in a intuitive format. Data is provided as is and is not guaranteed to be accurate. This application should be used as one of your tools in your toolbox to help you make smart and accurate investment decisions. Best of luck with your investing ! Watch the youtube for ezStocks Pro features in action: https://youtu.be/ImhlZrdAn5Q. Most of the market indicies don’t work. We changed how the data is retrieved, so in some cases screen update might take a little bit longer. Can you email us at support@orbconcepts.com the symbols that did not work for you? The reason I like this app is because it shows aftermarket values so you can follow prices after the market is closed. HOWEVER, for some reason, the developer felt that each line item in the list needed fancy fade-in animations that make the scrolling skip, stutter, an lag. This causes my iPhone 4 to struggle as I scroll up and down. Unnecessary in my opinion. ALSO, since the day I got this app until the most recent update, there have been no ads (despite the free price and the 'pro' label). This was a huge reason why I told my stock partners about this app. But the most recent update added intrusive, full-screen, interrupting apps that actually interrupt you before they are loaded, so you just have to sit there and look at a blank screen until it gets the ad info. This is a huge annoyance. thin small iAds are one thing, but full screen stoppages and interruptions are terrible, and the developer should know that me and my friends are going elsewhere. Fix it and we might come back. 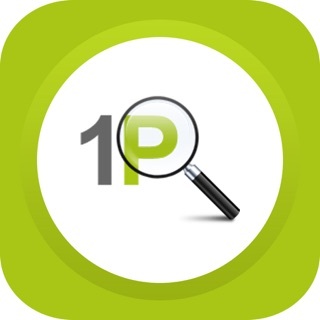 This app works really well for watching investment prices. You're able to create different lists and add tickers to each. The charts are nicely detailed. My favorite feature is the heat map. The ads can be intrusive at times but no harm done and, after all, this is a nice app for free. Update: Heatmap crashes with version 1.8. I wish I could roll it back. I miss it. Please fix it. © 2019 ORB Concepts. All Rights Reserved.